With the constant influx of amazing new card, board, miniature, and role-playing games, I’m often hard-pressed in this column to find opportunities to point out all the awesome tabletop projects in any given year. But even as the catalog of available games continues to grow, so too does the audience ready to give this hobby a chance for the first time. Contrary to what you might expect, the tabletop hobby has grown by leaps and bounds during the digital age as people continue to seek opportunities to socialize and have fun with friends in-person. Today, I’m highlighting several games that can serve as a welcome mat into the tabletop gaming world. Whether you’re looking to snag a game for yourself to get into playing with friends or family, or you’re looking for a gift (perhaps for the holidays?) to help invite someone into the fun, I think these selections can get you heading in the right direction. In each case, I’ve tried to select games with a few criteria – easy-to-learn, short playtimes, strong replayability, affordable price points, and in many cases, a system or mechanics that speaks to broader trends or ideas that players will subsequently encounter in other games. In addition, while all of these games should be easy to learn, I can also attest that they’re fun games to keep on your shelves in the future, even after you’ve moved on to weightier, lengthier options. This excellent twist on the classic Dominoes can be learned in just a few minutes, but multiple layers of decision-making and forward-thinking are necessary to succeed. Players are competing lords looking to expand their kingdom by playing tiles that connect to their central castle. Connected tiles of the same color/terrain type can score points, which are multiplied by the number of crowns depicted on those connected tiles. By selecting the best tiles from those available in a given turn, it’s likely that you’re also pushing yourself to the end of the line for selection on your next turn. Players must also consider the limited size of the grid into which they may play tiles, adding an additional factor to consider. 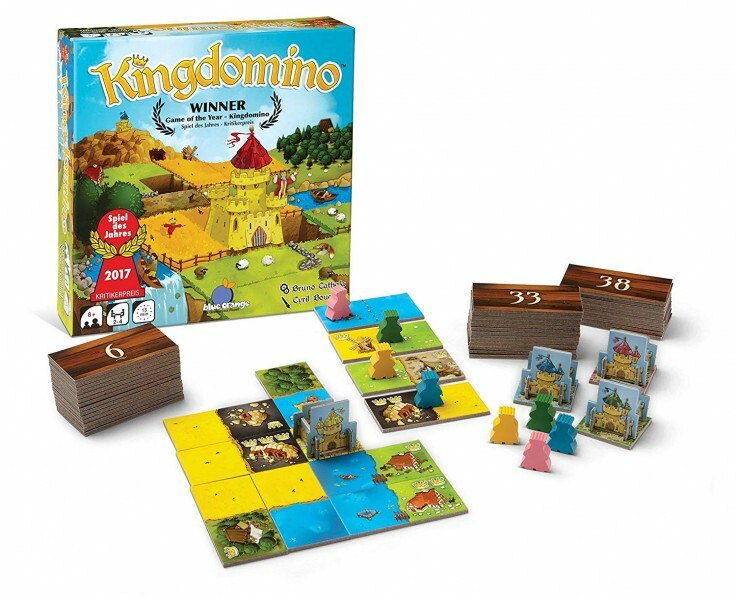 Kingdomino is colorful, intuitive, and a full playthrough takes less than 30 minutes, but the surprising depth of its interacting systems will keep you coming back. 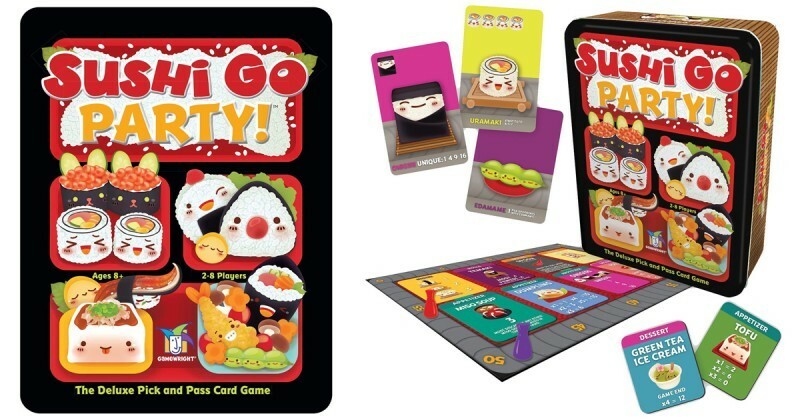 This isn’t the first time I’ve put out a recommendation for Sushi Go Party!, and I suspect it won’t be the last. Players compete to have the best sushi meal, playing cards that combine in a variety of ways. Win points for having the most maki rolls in a given round, for pairs of tempura, and big bonuses for already having a wasabi card out to dip your nigiri in, among other sets. Sushi Go Party! teaches card drafting in an accessible way, as players pull a card from their hand, and pass all their remaining cards on to the next player. Your sushi meal (made up of amusingly anthropomorphic sushi pieces) slowly grows in front of you, but you can never be entirely sure which cards will be available on your next turn, so you’re always trying to play the odds and watching your opponents closely to see what sets card groups they’re chasing. The original Sushi Go was a great game, and this newer version adds a ton of replayability with additional card types and a handy board that helps track score (about the only things that the original lacked). Love of good sushi is a plus, but not necessary; this one is as easy to scarf down as a California roll. The original Ticket to Ride has long been one of the definitive gateway games into more thematic board gaming, and it still serves that role well. But 2018 saw the release of a new twist on the formula, and I think it’s an even better option for new players. 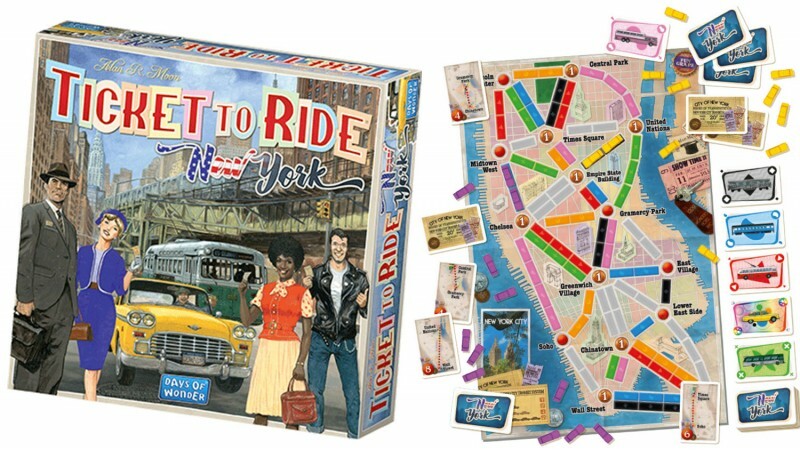 Ticket to Ride: New York challenges two to four players to claim different routes across the city, using cards that depict taxis, subway cars, and buses to lock down routes between places like the East Village and Lincoln Center, with bonus points for tourist attractions like Times Square or Central Park. The game teaches set collection and hand management for newcomers, but the light theme of 1960s New York and brisk play time (under 20 minutes, in my experience) make this an easy winner. For many would-be players, the thing they recall about board games are the old circular track games typified by Monopoly. Jamaica is the game that takes that concept and catapults into a faster, more engaging, and more interactive experience – with a setting and theme far more compelling than real estate. It’s all about pirates! 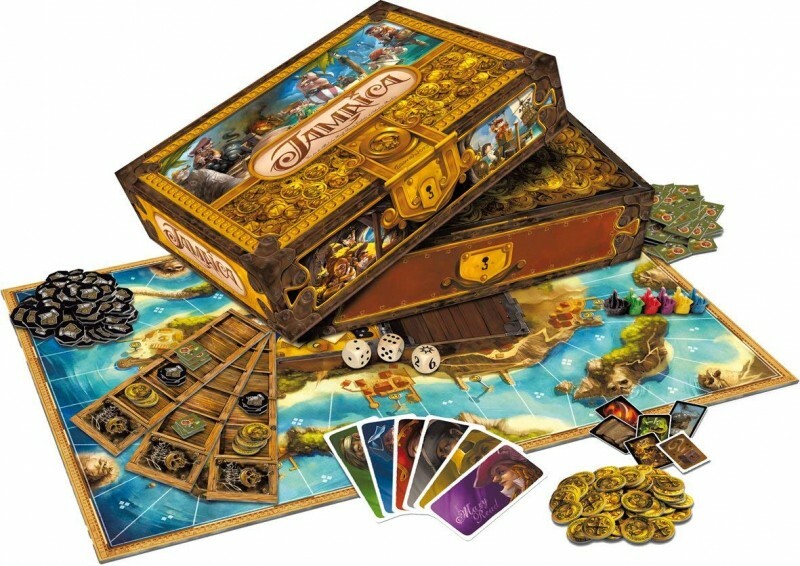 Players sail their ship in a race around the island of Jamaica, gathering treasure, trying to keep their crew fed, and regularly squaring off against other players in cannon duels. Gorgeous and whimsical art set the tone, and layers of simple strategy give the game a bit more meat on the bone than it might first appear. Jamaica breaks my rule for this list a bit by being somewhat more expensive than most of the other entries, but it’s been a surefire hit at tons of get-togethers I’ve attended, and it has strong appeal for both kids and adults. 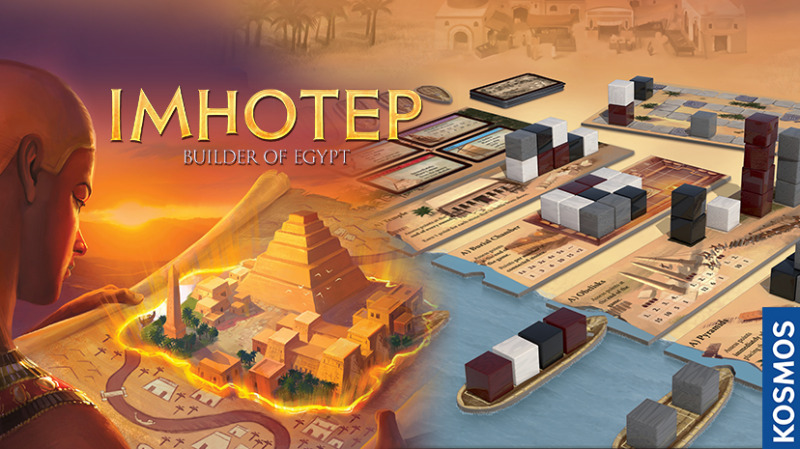 Imhotep is a wonderful and intriguing strategy title, which appeals strongly to players who don’t want to waste a lot of time on rules, but still want some rewarding and thought-provoking strategy out of their game night. Each player takes on the role of a builder in Ancient Egypt, hauling in stone to construct remarkable monuments and other structures, even as fellow players thwart your efforts in pursuit of their own glory in the eyes of the Pharaoh. While not strictly a worker placement game (you’re placing masonry, not workers), Imhotep offers some of the same concepts of locking down a space to deny it to your opponent. The components also offer options for multiple goals to pursue in any given game, adding replay value. Imhotep has the power to open players’ minds to the joy of strategic planning in a board game. Is it just you and your partner looking to get into board games? Patchwork is a great place to start. 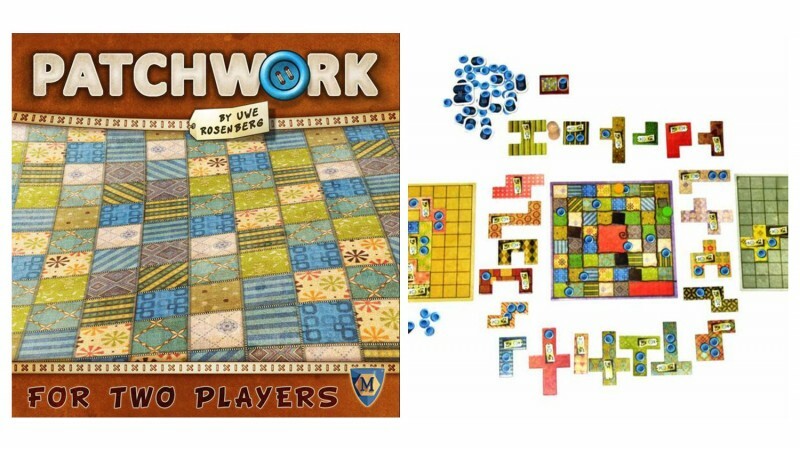 Built specifically to be played by two players, Patchwork is a game about creating your own quilt, and as such, may be an excellent fit for a couple if one of you isn’t in to the classic board game tropes of aliens, fantasy battles, and conquering armies. The simple domestic theme hides a remarkably rich (and almost Tetris-like) gameplay loop, as players each work to fill in a patchwork grid with quilting pieces, fitting them together with buttons (the number of which remaining to you at the end factors heavily into your score). The game also features an unusual approach to turn order, as the time it takes to place different patches affects whether you pass the active turn to your opponent, or get to go again. Patchwork demands careful planning, but with a half-hour playtime, it’s easy not to get too caught up in your own machinations, since you know you can try again with a different strategy on the next go-around. Of all the games on this list, Pandemic is the most complex, but it’s still a great pick for new players thanks to smartly written rules and easy engagement. It’s also one of my own favorites at the table, and is usually my personal choice for welcoming new players into the hobby. A big reason for that is that the game is entirely cooperative, so no one feels like they’re getting stomped by their friends on their first outing. Getting stomped by the game? That’s a different matter. 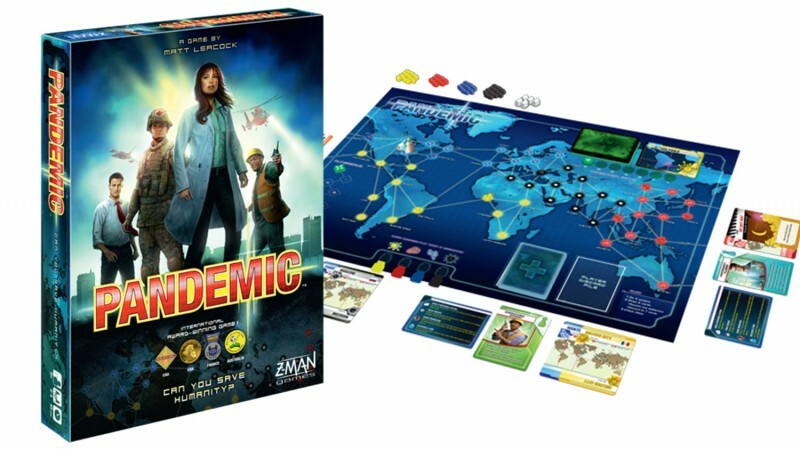 In this challenging world-saving adventure, players take on the role of researchers, scientists, and doctors attempting to thwart a worldwide disease pandemic. Cities across the planet contract new diseases, and if you don’t move quickly to tamp down the problem, those diseases outbreak to other nearby cities. Keep the diseases in check while you find cures, and if you’re both lucky and smart, humanity may live to face another game session. Pandemic has spawned a ton of offshoots and expansions, as well as a stellar legacy game series. But you can’t go wrong with the original core game, which demands constant teamwork and the ability to regularly reevaluate priorities to avert disaster. There’s a reason it’s so popular; Pandemic is tense, rewarding, and a ton of fun. Before closing out this list, I wanted to address one of the needs I most commonly hear from readers: “I want to get into tabletop role-playing games, but I don’t know where to start.” This is a trickier problem than with card and board games, because it can be a much more complex branch of the hobby to enter; it often feels like jumping into the deep end of the pool. As such, I have some recommendations for you, and after that, a game that might help. First, the easiest way to get into RPGs is to find a friend who already plays, and find out if they’d be open to a new player. Experienced groups commonly welcome new players, and this is the way most players learn. Don’t be afraid to ask. Second, if you and your friends are on your own trying to learn, you can’t go wrong by finding one of the excellent starter sets out there for games like Dungeons & Dragons, Pathfinder, Star Wars: Edge of the Empire, or Numenera. Those boxed sets come with everything you need to get started in a given game, and they’re not expensive, but be aware that it will involve a good bit of reading and learning before you play your first session. But maybe all of that still sounds like more work than you’re ready for? Try this one on for size: Expedition: The Roleplaying Card Game is a relatively recent release, and an ideal entry point for newcomers to the RPG hobby. Character creation and rules learning is ultra-simplified, as players draw cards and select characters from classic archetypes, and then fill in the gaps with their own imaginations. The cards included in the game help in this process, and facilitate the fast-paced combat, but the bulk of the heavy lifting comes from a free digital app that runs the game. You and your friends make choices on the screen, and when combat breaks out, the real-time cardplay is exciting and innovative, with lots of room for personalization and improvisation in your narration of events. The app includes many dozens of adventures to tackle, and it’s easy to get through a session in under an hour (each adventure offers an estimated completion time). The core game features fantasy scenarios, but a horror expansion adds an additional milieu into the mix, and an upcoming sci-fi expansion adds yet more. 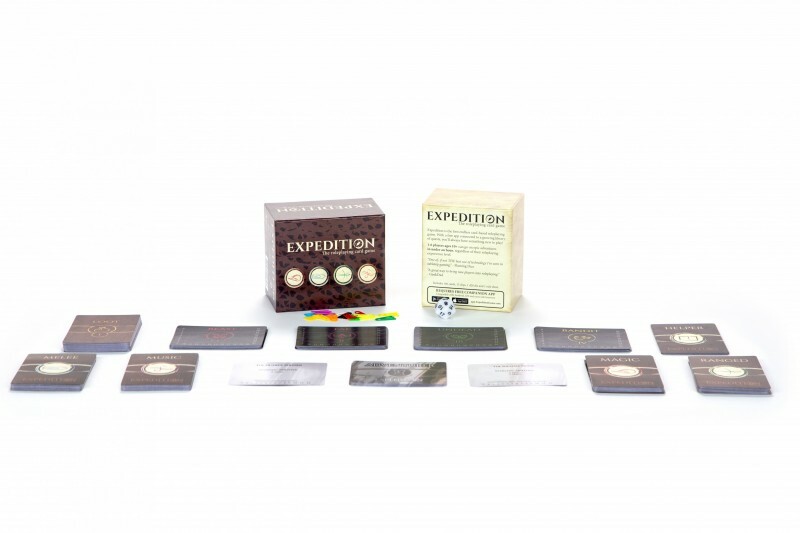 Expedition doesn’t offer a full-on role-playing experience with a GM the way that most RPGs do, but it does emulate a lot of what is fun about the experience of coming together and sharing a player-directed story with your friends. If you’ve always been curious, but the big books have scared you away, give it a shot. The list above is far from comprehensive. In fact, I hope some of the experienced players reading this now will hop down into the comments section and offer up the games that got them into the hobby. The options I’ve suggested are some of my favorites, and I wanted to make sure and get those selections out into the wild ahead of the holidays this year; any of the above would make for a wonderful option for the inevitable get-togethers in the coming month, or as a treat for a prospective gamer as a gift. If you’d like some more personalized recommendations, drop me a line via email from my address at the bottom of this article, and I’ll steer you to something that is a good fit. 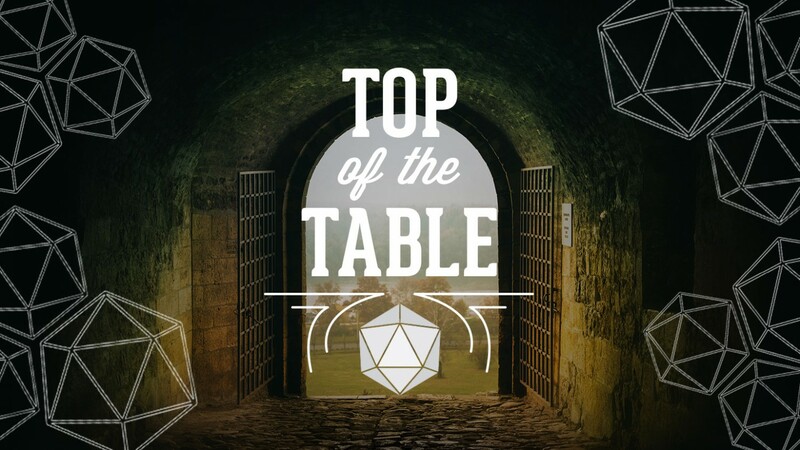 Matt Miller explores the ever-expanding world of tabletop board, card, miniature, and role-playing games in his column, Top of the Table. Check back every other Friday for the best in the hobby scene.